Two hundred years ago the people of the kingdom of Oskarria rose in revolt against the oppressive monarchy of King Alendus II. Mobs surged through the streets of the capital city of Ravnor, forced their way into the palace, and ransacked it. Everything of monetary value was carried away and all else burned. The monarchy was replaced by a council, which is currently headed by the seneschal Gwydion. However, that the council is now floundering is no secret, and this has resulted in a groundswell of popular opinion for the return of the monarchy. A strong individual is needed now to pull things back together, but there is one big problem: who will be king? Certainly not Gwydion nor any of the council! WITH SIX HANDS OF LORING THE LOST UPON THE WHEEL OF TIME, AT THE MOMENT BAZEL MOUNTS HIS CHARIOT TO DO BATTLE WITH THE SEVEN DAUGHTERS, THE DEAD KING SHALL RISE TO SEIZE THE TRIAD WITH HANDS THAT CANNOT GRASP AND EYES THAT CANNOT SEE. ALL WARDS BROKEN AND THE MYSTIC BARRIERS PIERCED WITH MATING SWORDS, THREE SAINTS AND SINNERS WILL STRUGGLE IN THE DUST, BOTH AND NEITHER TO TRIUMPH, AND WHILE THE SUNDERED EARTH SPEWS FORTH THE DREGS OF CENTURIES, A NEW ORDER SHALL COME UPON THE LAND. Only three elements of the prophecy are recognizable in this day and age. “Loring” was the twelfth king of Osskaria. “Bazel” and “The Seven Daughters” are heavenly constellations that appear to move toward one another as if going to battle. Most intriguing to be sure, but which dead king? With the looting of the palace all those years ago, not even the proper lineage of the dynasties is remembered. But there is one king still held in reverence by one and all, Llywelyn the Just. Llywelyn! Of course! The Prophecy is ancient, probably written about the time of the founding of Osskaria. Its authenticity is unquestionable, but is this the time of its fulfillment? You recently earned Gwydion’s trust by saving him from brigands en route to Ravnor. 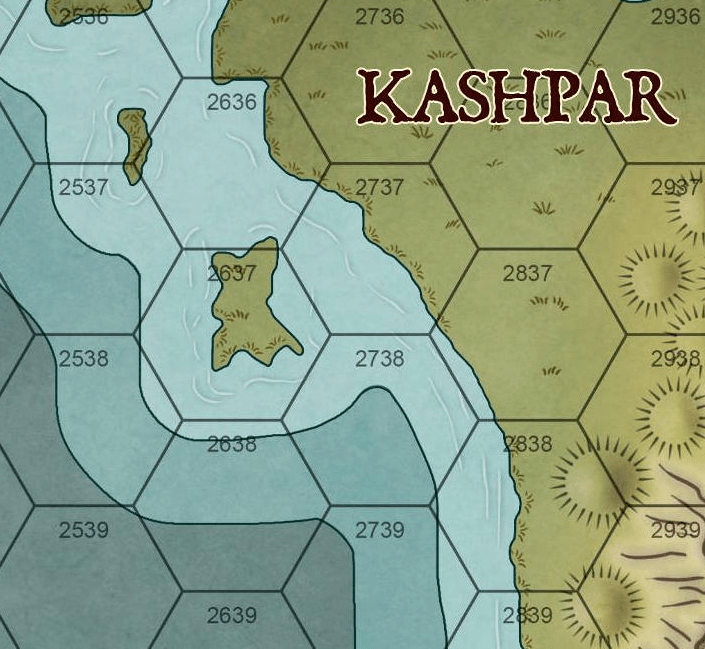 The Kingdom of Osskaria is beset by two factions: those who yearn for a returned monarchy and those who adamantly oppose such change. Since you are trusted, impartial outsiders, Gwydion has selected your group to investigate and to recover Llywelyn if possible. Working closely with scholars from the Brothers of Brie, you decide that the first leg of the quest should be to determine if indeed it is time for the return of Llywelyn. The exact nature of the “Wheel of Time” is not known, but it is felt to be a magical device used to determine the timing of astrological events. It is said that the Archmage Brandt and his brother the High Priest Hild together worked this and other arcane magic on a hidden island called Deathmist Isle, west of the Kashpar coast. Loring must refer to Loring’s Wood, a forest enclave said in legend to reside on Deathmist Isle. You are to find the Wheel of Time as soon as possible and deduce, if you can, its operation, to prove that the time of which the Prophecy speaks is at hand. Thus begins our adventure, as our heroes travel by boat to find the island, using an ancient map supplied by the Brothers of Brie. I pretty pumped about this.